The extended response of our XR pickups has naturally brought us to the attention of extended range guitarists, many of whom use fanned fret instruments. These instruments present a unique challenge in that the pickups should be angled to match the “projected-fret” angle in order to have the aperture respond to the same portion of each string relative to the bridge. Pickups with a single row of polepieces can often simply be angled and the optimum string-to-pole alignment found. Pickups with two rows of poles, such as our Quad XR’s need a more elegant solution to ensure optimal alignment. The following are three options for solving this. These are certainly not the only configurations possible. 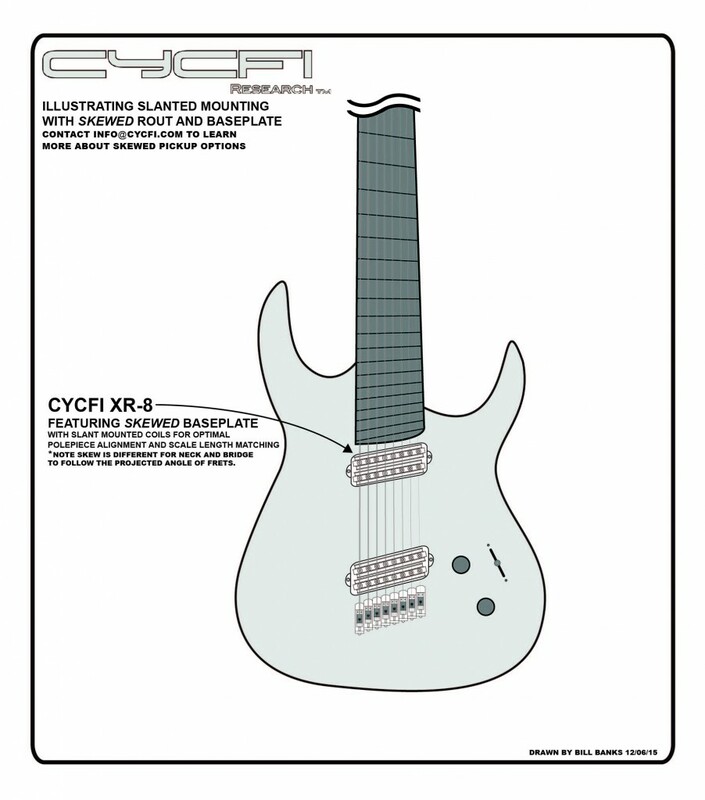 The pickups could be mounted in a pickguard, or even mounted from the rear with only the coils themselves visible from the front. The possibilities are vast and fun to entertain. 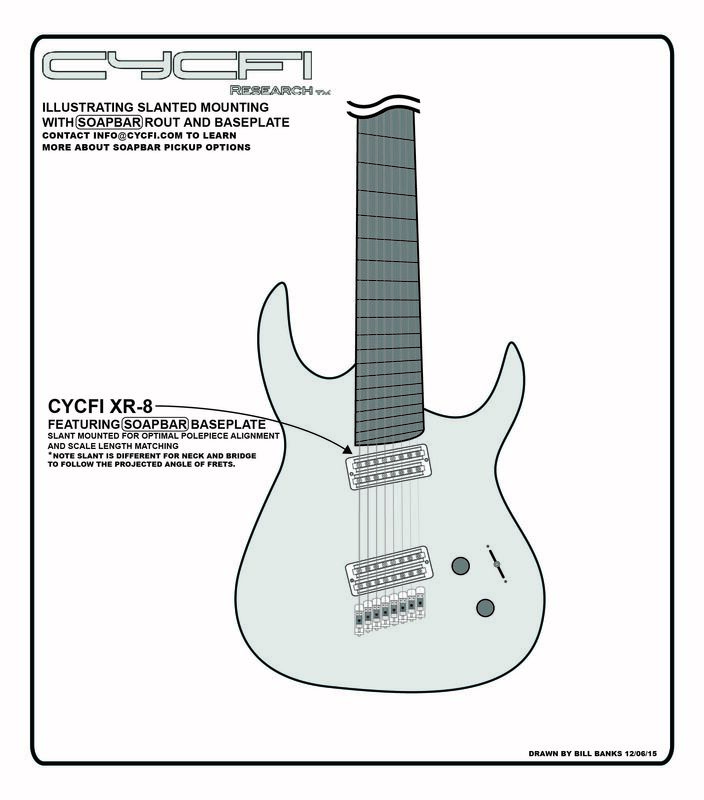 Email info@cycfi.com to find out more about the options available for the Cycfi XR series pickups. Visit www.cycfi-research.com to view our web store and follow us and join the discussion on Twitter and Facebook, we’d like to hear what your favorite solution is.